BrightWork, the leading project and portfolio management solution for Microsoft SharePoint is now available in our HIPAA/HITRUST compliant cloud on Microsoft Azure. This unique partnership allows healthcare organizations to manage their project and portfolios in a secure, compliant environment within weeks and at a fraction of the cost. 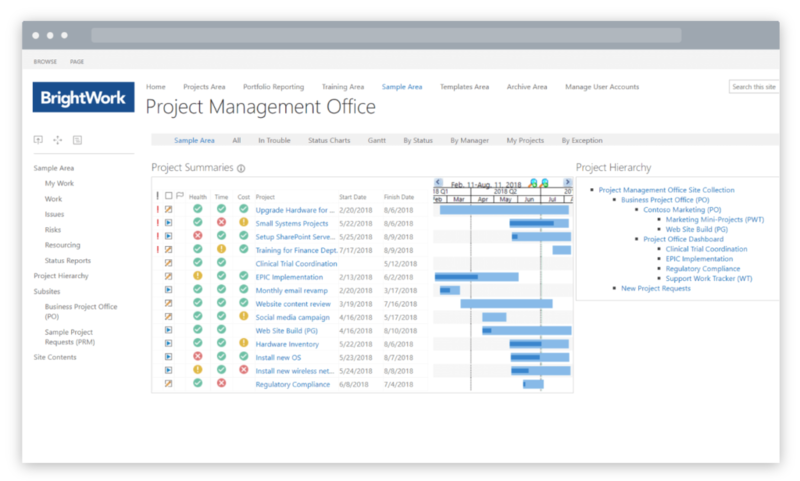 BrightWork Online provides an accessible, secure, and scalable cloud-based project and portfolio management solution. By working with BrightWork Online, healthcare projects are covered by the required compliance standards for Protected Health Information (PHI). Consolidating all project data in one central repository, reduces administrative burdens and promotes efficient communications. Roll-up reporting allows team members to update an item once, and all reports are updated, saving time, improving accuracy and increasing collaboration. Work reports provide team members with exactly what work they have to do as well as what work is upcoming. These reports also show all work across every projects. Microsoft SharePoint document management capabilities ensures that all stakeholders have access to the most up-to-date version of all documents.